I sure had fun getting crafty this weekend. from a Dollar Tree pool noodle! We had sunshine on Saturday and our family took advantage by getting out in our yard and tackling some projects. We BBQ’ed that evening and had a super dinner! The boys made my mother in law and I breakfast on Sunday and I went to see Dark Shadows with a friend in the afternoon, then relaxed and did some crafting in the evening.It was a perfect day! 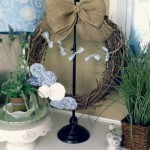 I was really excited to try making another wreath. 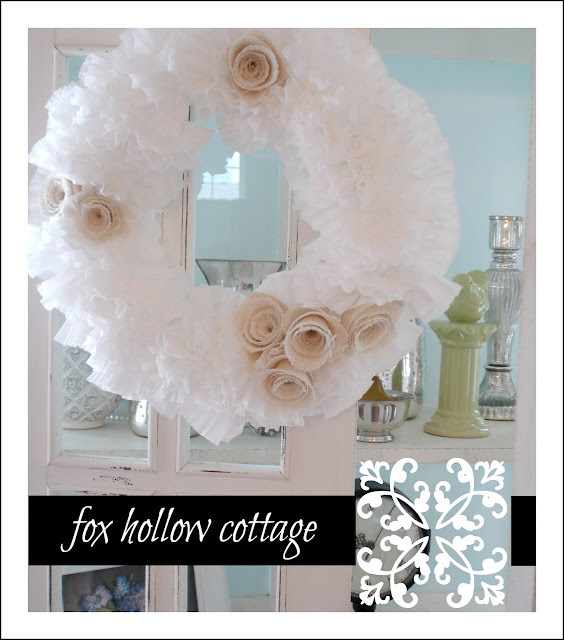 I made my first one ever, a coffee filter wreath, back in January, and I’ve been wanting to make another one ever since! 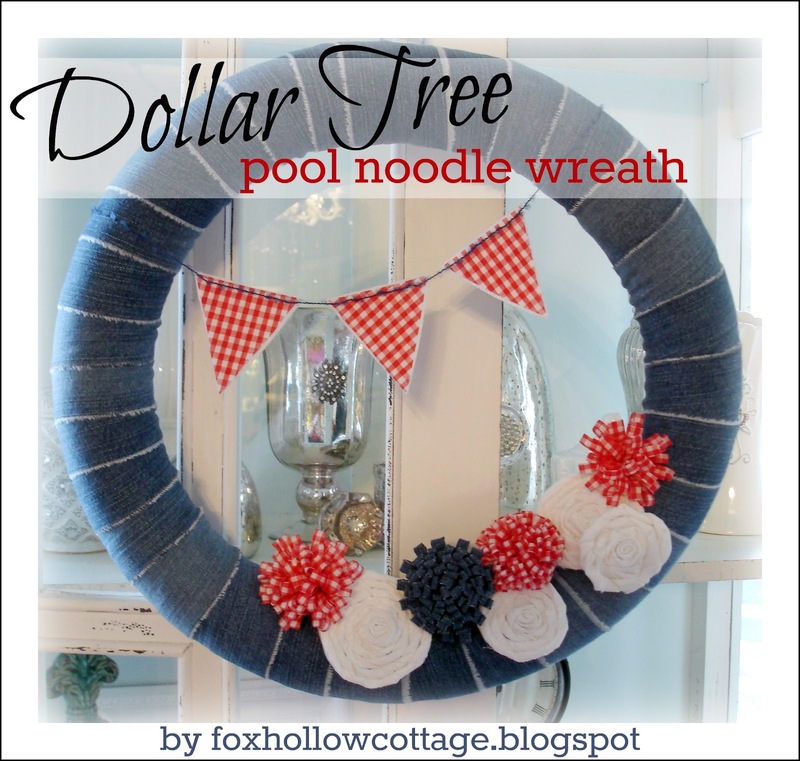 pool noddle as a wreath form!? Well, that sounded pretty thrifty to me. 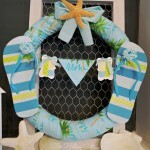 made a fun, Summertime wreath. This was a totally relaxing project. Loving that the pool noodle was only $1! 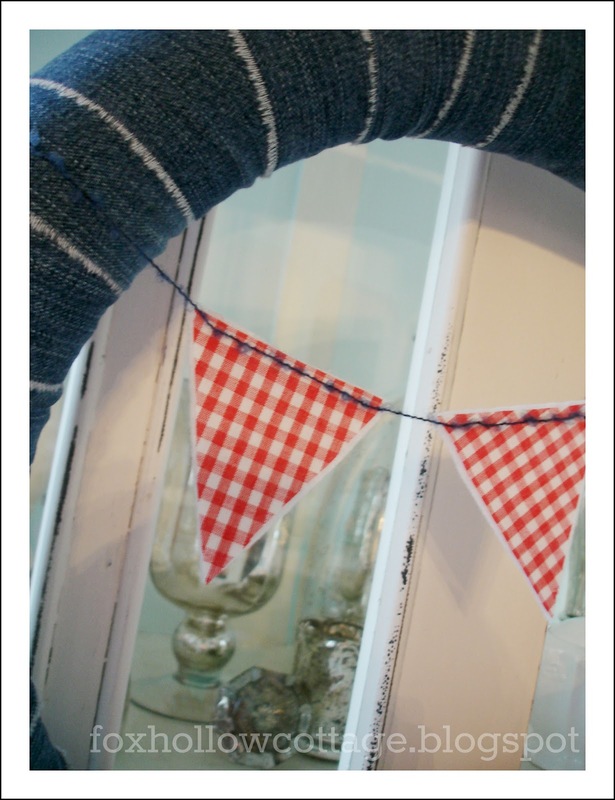 The jeans (my denim fabric) were torn and totally un repairable, so this was a super way to re use them! 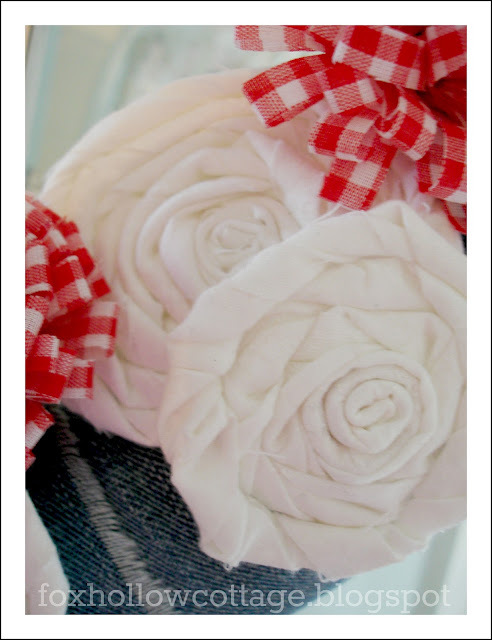 The fabric that I used to make all the flowers was just scrap I have had forever. This is an easy, entry level project anyone could manage. I made this later in the week. UPDATE; Click here to visit my tutorial post and I’ll walk you through it! Since I couldn’t wait to share! Seriously, really neat. I love the fact you used a cheapy dollar store item too! You should also link up at the Checkered Apple…she’s doing a patriotic link up party all month or something! This wreath is fabulous, Shannon! What a great idea using a noodle for a wreath form. 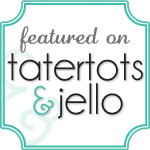 I’m your newest follower and I’m a newbie posting over at Debbiedoo’s. Thanks for doing what you do! Hand it over! I love it. It is so darn cute! 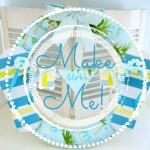 I can’t wait to see how you made those awesome flowers! Oh I love it! 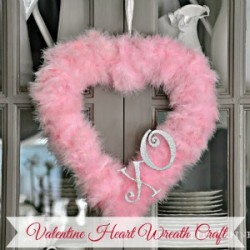 This wreath is so stinkin’ cute! 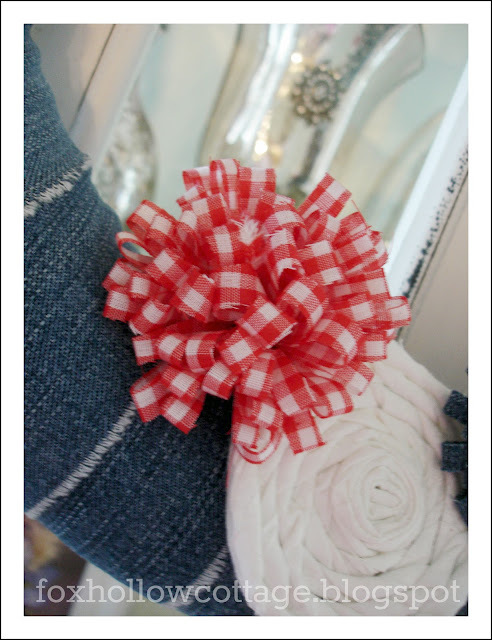 I love, love, love red & white gingham! A pool noodle…who would have thought? This is so much fun, Shannon! 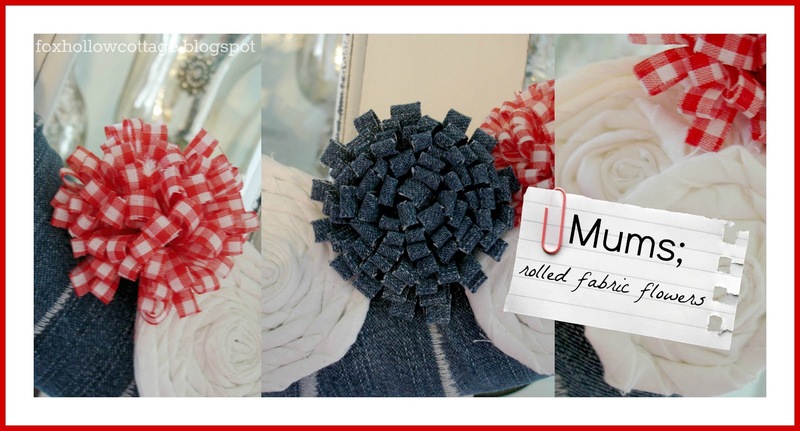 I love the denim and the fabric you chose for the other flowers really pops against the background. 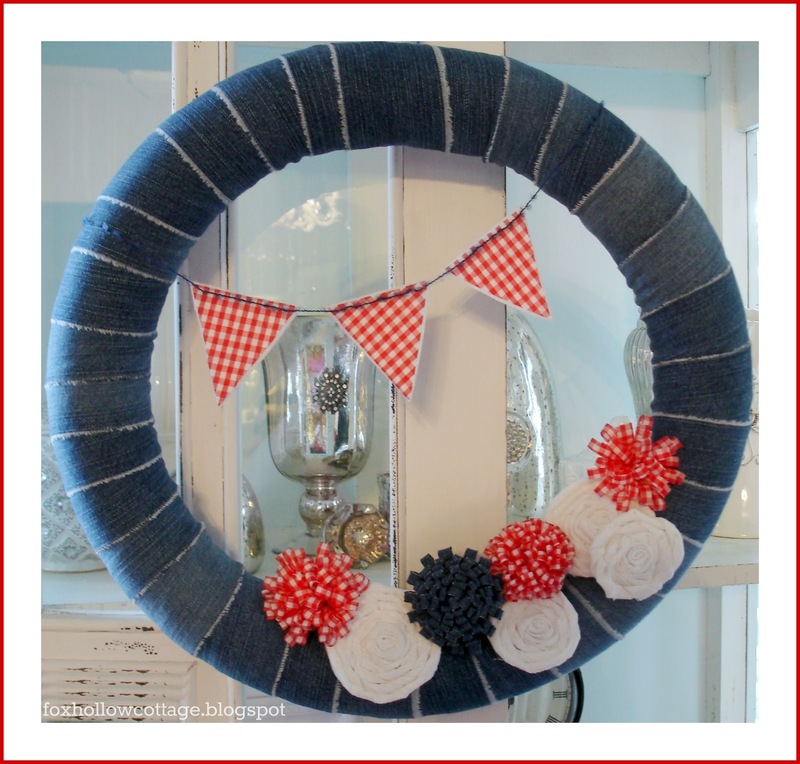 This gives me some ideas for making a Canada Day wreath! Too cute! 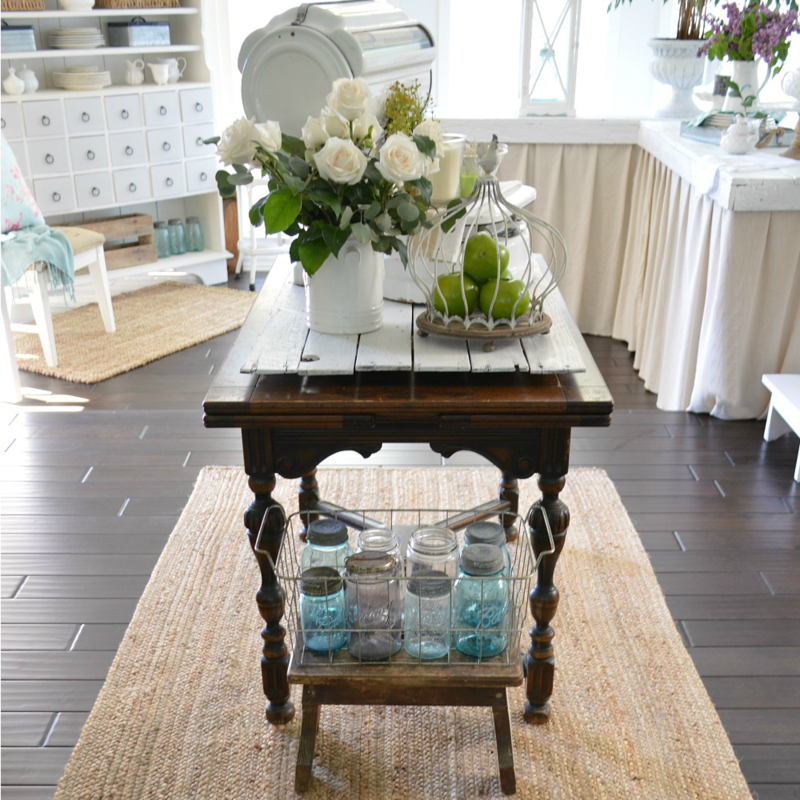 I love the flowers…can’t wait for the tutorial! Old jeans and a pool noodle? Pure genious! 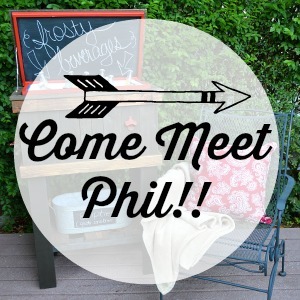 I was going to say that you’re my kind of woman (“cheap”) with your decorating ideas, but that sounded a little off-color…LOL! Instead, I’ll say that your INEXPENSIVE ideas are so clever and utterly cute. I just may have to buy a pool noodle or two! It’s beautiful! I need to get a wreath together. My daughter says my front porch looks bare. Can you imagine any place I am (Ms. Clutter-Bug that I am) looking bare? Great looking wreath Shannon! 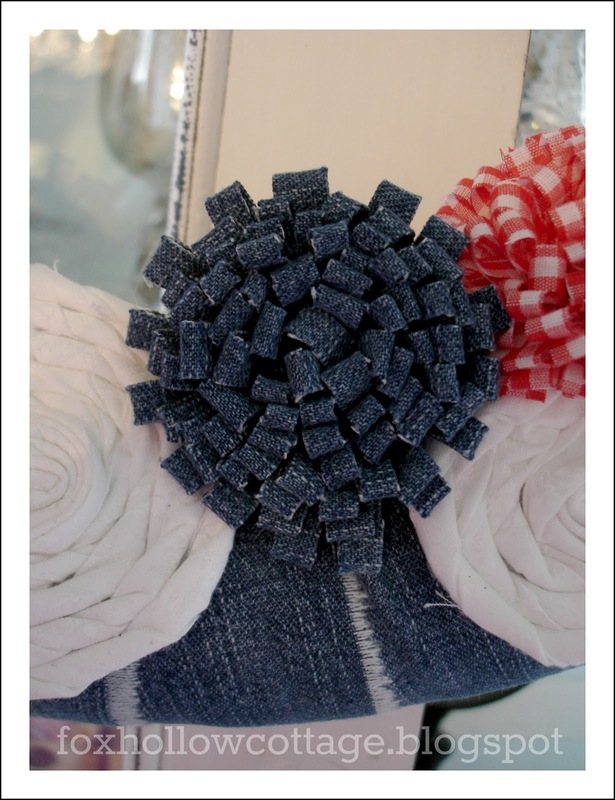 I really like the denim flower you made for it. 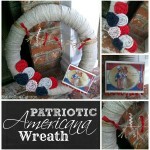 Your wreath has a patriotic feel and I’d love for you to link up your project at my Patriotic Link Party going on right now @ http://thecheckeredapple.blogspot.com. so cute! 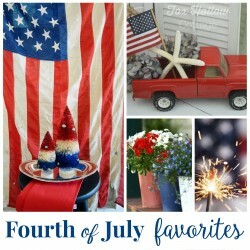 and love that it is a pool noodle… that to me makes it even more memorial day appropriate! How flippin cute Shannon! 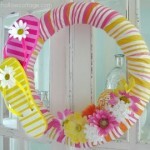 Very creative and I love that it is from a pool noodle, who would think? Very creative and pretty. Great job! 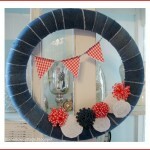 Summer Wreath in Patriotic Red, White and Blue Denim - Repurpose old jeans into a fun Fourth of July wreath. An easy diy craft that is cheap AND easy! !